Hand full of Almonds, Cashew nuts, raisins etc. Wash and drain rice for 30 min. Heat 3 tsp ghee; add cloves, cardamom and cinnamon. Add drained rice, sauté for 2 min. Meanwhile boil coconut milk, water, pinch of salt. Add this mixture on rice. Let it boil on medium high. As starts boiling, reduce the heat to low put the lid and let it cook for about 10 min. Cook the rice completely. Take out the rice on the plate and cool it completely. In another pan mix grated coconut, sugar, nuts and cook until the mixture thickens and feels dry. Add rice, saffron, 2tsp ghee and Cardamom powder. Mix it lightly. Try not to break rice grains. Put the tight lid on and let it cook on very low flame for 15 min. Turn off the heat and keep the lid on for another 5 min. Sweet coconut rice is ready to serve. Enjoy. 2 tbl spn roasted peanuts, coarsely ground. Roast sesame seeds until golden brown color obtained. Heat jaggery with 2 tbl spn water, let it melt and boil. Take little water in a bowl and add a drop of the jaggery in it. The jaggery should sit like a drop without getting diluted. That shows it has reached the required consistency. Now add the sesame seeds and peanut powder. Mix well. Take off the heat. Rub a little ghee on your palms and take a little portion of the mixture in a table spoon, check if it’s not too hot in order to avoid burns, make ladoos. You need to make ladoos before the mixture get cold. Roast sesame seeds until golden brown color obtained, grind it and make powder. Roast gram flour in a little oil until golden brown color obtained and keep aside. Now take a mixing bowl and mix jaggery, gram flour and sesame seed powder and mix well to make soft dough, if needed, add a teaspoon of milk to make soft dough, keep aside. Now take whole wheat flour in a mixing bowl, add two teaspoon of oil and make the dough for poli. The key is making this dough exactly the same consistency as jaggery filling. Now take two small portions of flour dough and roll it little bit to make two small puries, now take a small portion of jaggery filling and spread over one puri, now take the other puri and put it on top of the jaggery spread, and press down firmly to seal the sides. Now put some flour on the board and roll it to make a regular size roti/ poli. Roast the gool-poli on a medium- high heated flat skillet/ pan-cake griddle. Remove from the heat and let it cool before serving. Steam these diyas [ दिवे ] on the steamer for about 15 minutes. Take one diva and split it with spoon , if the spoon comes out clean that means diyas are done, it the dough sticking to the spoon, that means it needs to be cooked more so steam another 5 minutes. Serve these diyas [दिवे ] melted ghee [ clarified butter] or warm milk. Line a mixing bowl with cheese or muslin cloth, pour yogurt and tie it with the help of a string. Hang this for about 4-5 hours or overnight. Take this chakka in a larger mixing bowl and add sugar. Now blend chakka and sugar with the help of a hand mixer. The key is all the sugar should be dissolved and the mixture should become very smooth and light. Add saffron and cardamom powder into it and blend little more. 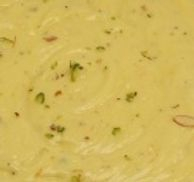 Keep this shrikhand in the fridge for about 2-3 hours before serving so the saffron and cardamom flavours blend in it. Method: Soak chana dal in enough water for 3-4 hours , drain it , now add 1 cup of water and cook it in a pressure cooker for about 3-4 whistles. Now mesh the cooked chana dal nicely, you can also use a blender to do this. Now transfer this meshed chana dal into a non stick pan, add sugar or jaggery to it and mix well. Now cook this mixer on a low heat, stirring frequently until it starts to leave the sides of the pan. Add cardamom powder and a dash of nutmeg powder and mix well. Puran is ready for stuffing. In a mixing bowl, add wheat flour and all purpose flour, add a pinch of salt and knead the dough adding water, the dough should be soft, now cover the dough and leave it for an hour. Now take one table spoon oil and mix in the dough to make very soft dough. Now take small portion of the dough, and stuff a small portion of puran into it, and roll it on the board with the help of a little dry flour , now roast this poli on a tava both the sides until light brown , add some ghee on it and serve! Maharashtrian Tel -Vang [ Eggplant] is not very common dish, very few people make it. Here is the recipe for it enjoy! Soak the chana dal in four cups of water for at least four hours. Drain thoroughly. Place cumin seeds, salt, green chillies and sugar in a blender along with drained chana dal and grind it coarsely. Make sure to not make a fine paste. 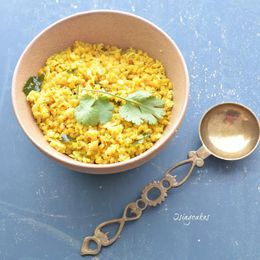 Heat oil in a pan, add mustard seeds [Black mustard] When the seeds splutter, add asafoeteda and turmeric powder. Take the pan off the heat and let it cool to room temperature. Transfer the dal mixture into a bowl. Add raw mango and coconut and mix well. Add the tempering to the dal mixture and mix well. ½ cup of each following vegetables cut up ½ inch. Take all these vegetables , coconut peanuts , salt and tamarind paste [ optional] in a stock pot add enough water to cover the vegetables and cook for 10 minutes or until the vegetables are cooked. Now heat up ghee and add cumin seeds for tempering, and add this to boiled vegetables. Traditionally we are not supposed to do fodni/ tempering to this vegetable. Heat ghee in a pan. Add poppy seeds, cardamom powder. saute for a minute. Then add grated fresh coconut and grated jaggery. Stir at times and cook this mixture till the moisture from the jaggery begins to dry. Switch off the flame. Don’t overcook as the jaggery then hardens. Keep this coconut-jaggery filling aside the mixture will thicken more after cooling. Now take the all purpose flour and rava in a mixing bowl, add two tsp warm oil and a punch of salt. Mix well. Now add a little milk at a time and knead the dough. This dough should be of consistency of puri dough. Cover and set aside for half an hour. Now mix well again. Now take a small portion of the dough and roll it like a puri, hold this puri in your palm and add put amount of filling in the center, now start to close your modak nicely. If it does not close and falls apart, apply a little milk on the edge of the puri. Now fry them in medium –low heat until golden brown color obtained. 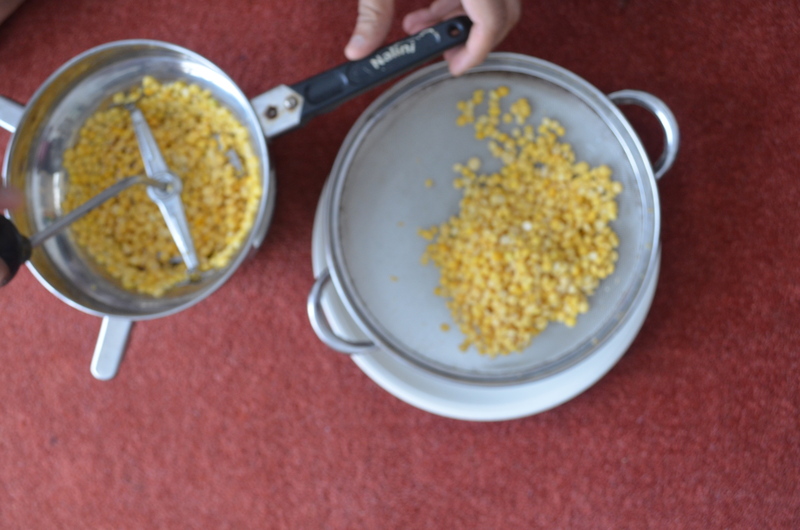 Grind the soaked and drained chana dal roughly and keep aside. My mixer grinder is broken hence, I had a tough time grinding the dal in my puran yantra. In a thick bottom pan, prepare a tempering with oil, mustard, hing and curry leaves. Add in a teaspoon of turmeric. To this add in the roughly ground dal. Stir and cover. Cook this dal for 4-5 mins. Add in the salt and sugar. Stir again. Cover and cook. To this add in the grated mango, shredded coconut and mix. The dal should be cooked until it’s raw taste is no longer there. Turn the gas off. Transfer the dal to a bowl, garnish with coriander and serve hot or cold. Wash green chillies and wipe them dry. Now chop them into small pieces. Take all the dry ingredients given in the list in a blender. Make into a coarse powder. Add the powder into a bowl and squeeze in the lemon juice. mix well. Now heat the oil till it smokes, add a pinch of hing, Pour the smoking hot oil over the spices and mix well. Now add in the chopped chilli and toss well with the masala. Take a clean, dry, airtight jar and pour the chillies into them. Cover and store them for 2 days before serving. Grind peanuts coarsely, be sure to stop frequently to keep it dry and avoid making it into peanut butter consistency. Grind sesame seeds in the same manner. Transfer peanut, sesame and dry coconut flakes to a bowl. Add ginger, almond & cardamom powders and mix well. Place about 2 Tbsps of warm mixture in your palm. Gently press and roll the mixture between your palms to form a ball; add a little oil to your hands when making the ladoos so they do not stick. Peanut Ladoos can be made according to your taste: increase or decrease any of the ingredients, add different nuts or dry fruits, or omit the ghee. Two sides to be eaten during fast. 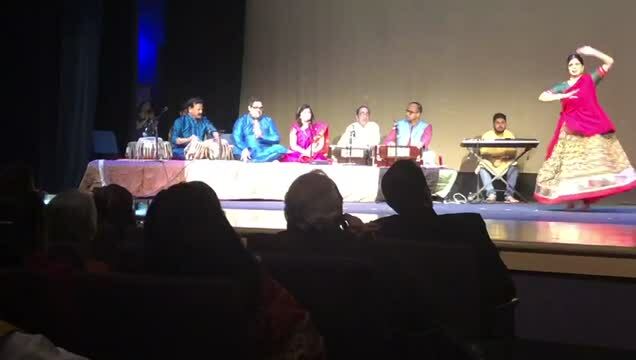 Vat Purnima is approaching and Aditi Joshi brings these from Rekhaji;s book. This is a common breakfast or snack dish prepared in Marathi households. Puffed rice (Pohe) are available in two varieties - thick and thin. In this recipe, we use thick pohe. Thick ‘Pohe’ - 1 lb. Mustard seed - 1 t.sp. Granulated white sugar - 2 t.sp. Chop onions, green chilli and cilantro fine. Wash potatoes, cut them in quarters and make thin slices of quarters. Place potatoes in a bowl of water. Cut lemon into slices or dice it to quarters. Heat oil in a wok (kadhai). Add mustard seeds and let it splutter. Add asafoetida and green chilli and stir. Add onion and potatoes. Cover with a steel plate and add some water to the plate. When the water boils, carefully take the plate off. If potatoes are cooked, add turmeric. Add soaked pohe, sugar, salt and stir well. Let it cook for 2-5 minutes. Aditi’s note: Traditionally, steel plate filled with some water is used. A simple pan lid works fine, though frequent stirring is required. Wash and drain pohe. In a bowl, mix jaggery, pohe, cardmom powder, nutmeg powder and salt. Heat a saucepan and add ghee, cloves to it. Now add pohe and other mixed ingredients. Add fresh coconut and cook covered for 5 minutes. Stir intermittently. If you replace jaggery with sugar, add ¼ cup of milk. White granulated sugar- 1 t.sp. In this recipe, pohe does not need wash or soak! In a bowl, mix pohe, salt, sugar, green chilli, onion, cilantro, fresh coconut and lemon juice. Heat oil in a small pan, add mustard seeds and asafoetida to it. Add tempered oil to the bowl of pohe. Cover the bowl and let this mixture sit for half an hour. (Gram flour and onion side) - This is perhaps the most popular side prepared in Marathi cuisine. It’s a quick, easy and tasty dish. Cilantro chopped - 2 tsp. Mustard seeds - ½ tsp. Heat oil in a saucepan. Add mustard seeds, asafoetida, green chilli and onion. Saute onion and add a cup of water. Add gram flour to the boiling water and stir continuously to avoid lumps. Add cilantro, aamsul and let it boil for few minutes. Serve warm with rice or bread of choice. Mustard seeds - ¼ tsp. Cumin seeds - ¼ tsp. Clarified butter - 1 tsp. Cilantro finely chopped - 2 tsp. Heat clarified butter in a saucepan. Add mustard seeds, cumin seeds, asafoetida and curry leaves. Add buttermilk, salt and sugar. Heat for 1-2 minutes and add cilantro. Makes 4-5 servings. This versatile preparation can be served warm as a side. Alternatively (and more commonly), it can be chilled and served as a drink with meals. Gram flour - 1 tsp. Mustard seeds - ⅛ tsp. In a blender, add ingredients of spice mix and make a paste. Add spice paste, turmeric powder, sugar, salt and gram flour to buttermilk. Heat clarified butter in a sauce pan. Add mustard seeds, cumin seeds, asafoetida and curry leaves. Add buttermilk to the saucepan and let the mixture boil. Gram flour prevents curdling of buttermilk on boiling. Hence, its a crucial ingredient of this recipe. This preparation is usually served warm and as a side with rice. Makes 4-5 servings. Caraway seed - 3 tsp. Heat a nonstick pan and add oil. Add listed ingredients except last three ingredients. Roast for 5-10 minutes. Grind roasted ingredients using a coffee grinder. Add turmeric powder, chilli powder and salt to the mixture. Store in a dry air-tight container. 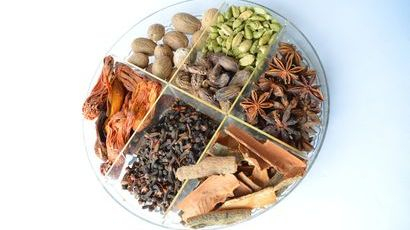 This spice can be used for making dal and variety of rice preparations. Heat a nonstick pan and add oil. Add listed ingredients and roast for 5-10 minutes. Grind roasted ingredients using a coffee grinder. This curry powder is primarily used for vegetarian entrees. Hot curry powder - 5 tsp. Heat a nonstick pan and add oil. Add onion and saute till brown. Add coconut and roast until it turns brown. Grind roasted ingredients using a mixer. Add hot curry powder and grind again. Place the container in a deep freezer and store upto one month. This spice is used for various entrees with gravy. Grind fresh coconut, dalia seeds, one clove garlic, green chilli, a few stalks of coriander leaves (no leaves just stalks), tamarind, salt. Season with mustard seeds, red chilli, curry leaves, and hing in coconut oil. Cut and fry equal amounts of tomato and onion in a little oil until they are soft. Add cut green chillies and hing. Now grind this with a big bunch of coriander leaves, salt, and tamarind into a smooth paste. Take some coconut oil in a pan, splutter mustard seeds, curry leaves and hing in it and then add this paste and cook for a few more minutes until the flavors blend. Soak beaten rice for 10 minutes. Grate the coconut, roughly chop the cucumber & finely chop the green chilies and ginger. 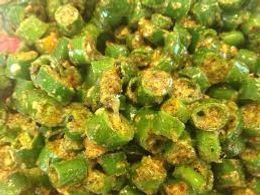 Melt ghee in a small pan for the tempering; add the jeera, green chilies and ginger. Pour over the beaten rice and add in the remaining ingredients. Mix well. Method: Boil or pressure cook raw mango. Let it cool. Peel out the mango skin and separate the pulp. Add sugar, cardamom and saffron and a pinch of citric acid and a pinch of salt and mix well. Now take desired amount of this concentrated paste and add cold water to make a glass of refreshing panha . Heat 2 tbs of oil and add it to flour, Mix it very well till all the maida/ flour gets the oil. Add salt and water to make it very stiff dough. Keep aside the dough[cover it with damp paper towel] for around 1/2 an hour. Heat jaggery and coconut together till jaggery melts and forms a uniform mixture with coconut. Remove from heat and add cardamom powder. Mix well. Take small balls of the dough; roll it into small puris (if the puri becomes too thick, the modaks get a rubbery texture). Keep a round ball of stuffing on the puri and cover with the dough to give them modak shape. The first four ingredients are taken equally in measures of 1 whole and 1/4. 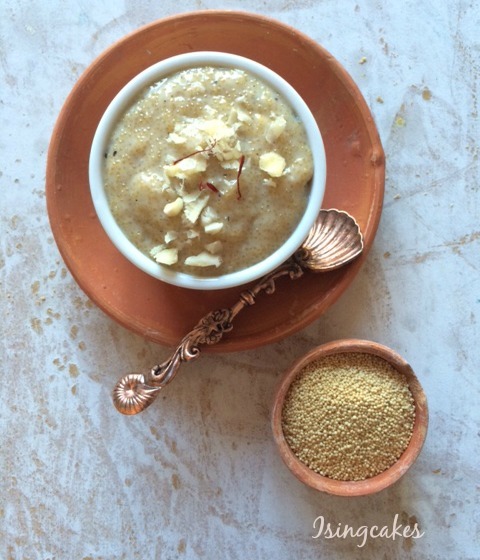 Ghee may seem too much, but this is what makes this Prasad so rich and delectable. The Prasad is eaten and distributed in small proportions, so its okay to indulge. Heat the ghee in a heavy bottom pan and fry the rava in it on medium low heat for about 15 mins., stirring frequently to prevent burning, till it turns aromatic. Add the milk, mix well and cook till absorbed. Add the sugar and again mix well. The sooji will loosen in consistency, but will thicken as the sugar gets absorbed. Then add the soaked saffron strands, cardamon pwd and nuts. Stir and cook on medium low for about 5 mins. Take off heat and add the bananas, either sliced or roughly mashed. As the bananas eventually blacken, I sometimes add them just before offering/serving. Low Fat Banana Bread: The perfect solution for using bananas that are too ripe to eat. 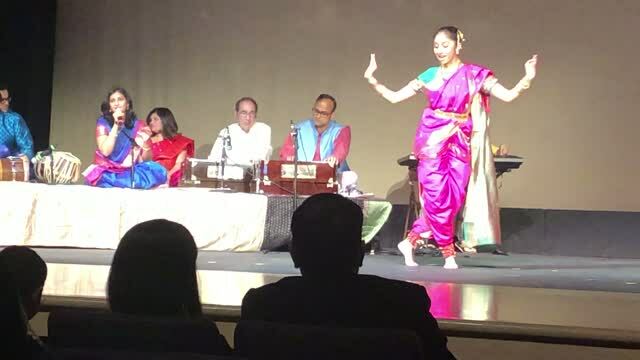 We welcome my friend an accomplished chef Anita Bapat who has graciously agreed to join this website as an expert in adapting Marathi cuisine to local ingredients as well as contribute from her own recipe collection. She has specialized in eight different cuisines. One thing that she has always done, no matter which country she visits, one stop is always at the grocery store. She loves to learn about the different ingredients used in different cuisines. She is sharing with us a list of ingredients translated in different European, Indian languages. She invited me over for dinner and had a winning recipe “Sprouted Mung Bhel”. She shared this recipe with us as below. She has graciously volunteered her services to help out with substituting ingredients, recipes, and menu planning with not just Indian foods but Italian, Spanish, French, Danish, American, Mediterranean, Chinese, and Thai styles of cooking with our readers. It comforts your sore throat, clears your sinuses, and decongests your chest. In winter you can drink this as many times as your want in a day, but in summers limit the consumption as all the ingredients are "hot"
Boil everything together until water reduces to half the original quantity. Strain & drink while hot/warm. As an option, mix a little milk (2 tbsp for 1 cup kadha) or add tea leaves & milk into it and drink it like spiced chai. Make extra and keep the left over unstrained kada in fridge. Use within a week of making it. · 1/3 cup honey or maltitol syrup or Splenda for baking. Mix everything above in a medium bowl until thoroughly incorporated, chill in the fridge for 30 mins. and then roll into balls. These ‘ladoos’ can be stored in an airtight container in fridge for a week. You can modify recipe to suit your taste/allergies/special diets; add raisins, any chopped dried fruit and silvered almonds as in besan ladoos. You can modify any of the ingredients or steps to suit your taste. Sauce: Cut cauliflower into large florets and place in steamer basket. Cook for about 10 minutes, or until soft, drain. While Cauliflower is cooking, heat 1 tablespoon of olive oil in saute pan over medium heat, add onions or shallots and cook until soft and light brown. Place cooked cauliflower in blender/food processor along with beans, milk, shallots and spices. Blend until creamy. Taste for flavor adding salt, pepper and any other spice you might like. Also if sauce is too thick add a splash or so more milk as needed, blend again. 1) In a mixing bowl add cleaned fenugreek leaves, buttermilk, garlic, ginger, green chilies, cumin powder and salt. 2) Using a hand blender, make a coarse paste. 3) Add flours, oil and make dough. Avoid adding water; add a tablespoon of buttermilk if necessary. Set aside the dough for half an hour. 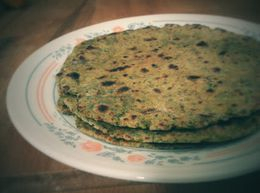 4) Roll out "thepla" approximately of 6-8 inch diameter. 5) Bake it in open pan (tava) for 2-3 minutes. 6) Serve with mango pickle or a side of choice. Note: Makes approximately 15 pieces. Buttermilk counters bitterness of fenugreek leaves. Do not replace buttermilk with water. Blend the above ingredients to as coarse or as fine as you’d like. Use pesto in cooked pasta, on top of cooked meat, as sandwich spread or top sliced tomatoes and fresh mozzarella cheese slices. Pesto freezes well. In a large bowl, mix oil, salt, pepper, garlic and herbs. Let them marinate for 5 minutes. Add the rest of the ingredients. Let the mixture sit for 30 minutes till all the flavors come together. Stays well for up to 1 week. Learning to cook Marathi food need not be intimidating. Let’s begin with common Marathi dishes. In Marathi cuisine, warm lentil sides are termed as ‘Aamti’. To prepare ‘aamti’ cooked lentils are usually tempered with oil and spices. These spices vary region to region (and even household to household). 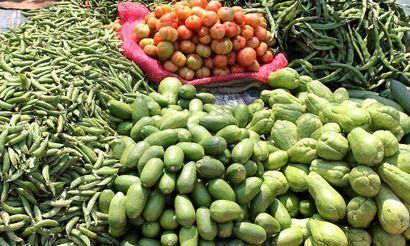 Here are three common ‘aamti’ recipes. Marathi curry powder (Goda Masala)- 1 tsp. Water - 2 cups (or more as per taste). Add turmeric, salt, asafoetida to daal, Add 1.5 cups of water and pressure cook daal. Blend cooked daal well with a ladle and add marathi curry powder, jaggery, tamarind, chillies, curry leaves, cilantro and half cup of water. Boil this cooked daal mixture on medium flame. In a separate small pan, heat oil, add mustard seeds, cumin and asafoetida. Temper daal with this oil. Daal can be cooked using slow cooker instead of pressure cooker. Makes 4-5 servings. Serve warm with steamed white rice. Fenugreek seeds - ¼ tsp. Onion finely chopped - 1 tb.sp. Grated Fresh coconut - 1 tb.sp. Add daal, turmeric, salt and asafoetida and pressure cook. Blend spice mix in a blender. Add fenugreek seeds, onion, chilly powder, jaggery and tamarind pulp to cooked daal and boil. Now add spice mix and boil for another 5-7 minutes. Heat oil in a separate small pan and add mustard seeds, asafoetida, fenugreek seeds. Temper daal with the oil. Makes 4 servings. Serve warm with steamed rice. Red chili powder - 1.5 tsp. Tamarind paste - ¼ tsp. Roast spice mix in a pan and then blend it in a blender. Mix onion, turmeric, red chilli powder, sugar, water (approx 2 cups) and moong beans. Pressure cook for 8-10 minutes. Take half of the cooked moong beans and blend it in a blender. Mix blended moong with the rest of pressure cooked moong. Add spice mix, tamarind and a cup of water to moong and boil. Heat oil in small pan, add mustard seeds and asafoetida. Add oil to moong and boil for few minutes. Makes 4-5 servings. Instead of moong beans, other beans such as red beans, black eyed peas can be used for the same recipe. Serve warm with rice or bread of choice. Method: In a medium size fry pan, mix ghee and besan and roast until brown colour obtained, remove from heat and add milk and stir. Wait until this mixture cools down, and then add sugar and mix this until it becomes smooth textured. Add cardamom and mixed nuts which is optional . Now you can make ladoos whatever size you desire. Ragira ladu and vadi is one of my favourites when it comes to food we have for fasting. I had half a pack of rajgira in my store. I referred Ruchira by Kamalabai Ogale last week to use it up for Maha Shivratri. Just then my N mavshi(maternal aunty) shared her recipe of Rajgira kheer. It is the same as Kamalabai Ogale suggests in her book. Just that mavshi asked me to cook rajgira in the pressure cooking by tying it in a cloth. I knew I would definitely love this kheer once I decided to make it. It all happens together, I cook the food twice before it actually gets cooked. First when I read or hear the recipe, next when I start thinking about the flavours and then finally when it actually gets cooked. Happiness is when I hear the from everyone that it is just perfect! Method ; Pressure cook rajgira with half cup of water. Once done. Add milk and let the mix boil for some time. Add the jaggery and cardamom powder. Garnish with chopped almonds and saffron. Serve hot or cold. Yes it is absolutely done in a jiffy!! Blend yogurt + 3 tbsp gram flour & mustard seeds +ginger & chilli in a blender,add some water to make a fine paste set aside. Heat up a saucepan and add one tbs oil, now add the paste stirring frequently add more water and salt to taste and desired consistency. Let it boil but stir it constantly. reduce the heat and now drop dumplings into boiling kadhi, stir it gently , the dumplings will come to the surface when they are fully cooked. Cover and turn off the heat. Your spicy kadhi is ready. Tip: You can adjust the spicy part of this kadhi by less or more mustard seeds.